Rating: 0.5 I give it a 0.5 for its hilarious soap opera storyline. The Good: I liked the storyline about how David Finn plans to get revenge on his wife's lover. The Bad: The software is fake, the security verifications are fake, and the real plot of this story revolves around taking your money. The Bottom Line: Stay away from this scam and watch your drama-filled soaps on TV instead. Or, you can put your time to better use and learn how to actually make money online with our top recommendation. When I was 20, I got sucked into watching taped episodes of the daytime soap Days of Our Lives. The never-ending character affairs, compounded lies, and paternity whodunits were a welcome reprieve from my rather dry work duties at a local chemistry lab. I looked forward to being “in” on the Days action, even if was all fiction. Yes, there are still places in this world where fictional drama lives on. Nowadays, many of those places exist in the world of binary options scams. In this particular tale, we encounter David Finn, an ex-mailman turned binary options trader whose life is threatened by Max Taylor (aka “Mad Max”). Max claims that David stole his proprietary trading software and used it to get rich. David doesn’t counter the theft allegations at all. In fact, he even brags about how he “legally stole the same trading algorithm” that Max uses to make his millions. How did David legally steal Max’s software? Oh. Well, that was kind of a let down. Anyway, David plans on making Mad Max even madder by now sharing this trading software with 50 additional individuals- and for free. Even though David paid over $30K to own this software, he’s hell-bent and on a mission to get at least 50 new traders using it. But why exactly is David so upset with Max that he just wants to give this guy’s software away for free? The reason has to do with a love triangle. During the time of the affair, Irene had been using Max’s software to create a savings account totaling over $800K. In exchange for letting her keep this money, David demanded a copy of the trading software. 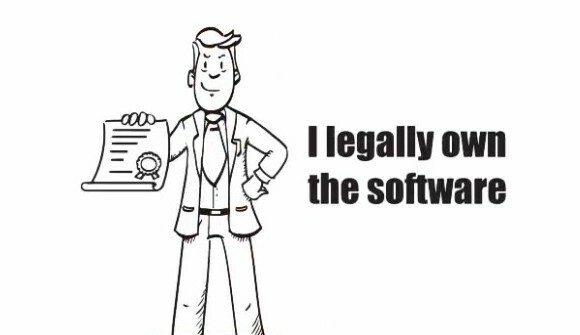 That’s how David legally acquired Max’s software. Now, David is out to ruin Max by basically giving his secret trading software for free. He’s looking for 50 volunteers. The problem with this sweeping tale of betrayal and revenge is that it’s all completely fake. Let’s start with the Trust Guard seals that David places on his sales page. When you attempt to click on these seals to obtain more information, you quickly learn that they go nowhere. The comments section of the sales page supposedly features 3,832 Facebook comments. However, you can neither click through nor add to these comments. Also, since when does Facebook post the age ranges of its commentors? The Mad Max Profits video shows David making trades “in real time.” When you examine the date stamps of these trades, they are all over the place. For example, at one point during his “very first day of trading,” David shows his account to be dated April 15, 2015. At a “later” screen shot of this same account, the date is January 21, 2015. Has David gone back in time? There’s no other way to say it- if the trades are simulated and have not been executed, the entire premise behind Mad Max Profits software and its amazing 92.3% prediction accuracy is fiction. Incidentally, if you really dig into the Mad Max Profits “software,” it’s none other than Ultra Binary Auto Trader, a recycled piece of binary options software that has been pushed by other scam affiliates in the past. Who is really benefiting from Mad Max Profits? Who is really making a profit from Mad Max Profits? It’s the affiliate marketer who is pushing this “software” onto unsuspecting victims. Once those victims sign up for a trading account with a specific broker, in this case Options Magnat, the affiliate marketer receives a $250 commission. If additional upsell products are purchased, the affiliate can make up to $750. If you sign up for an Options Magnat account, you will be asked to immediately deposit $250. If you accept the “bonus” money that Options Magnat offers you, you will have no way to withdraw your original $250 until you make many upon many trades. By then, you will have lost most (if not all) of your original cash investment. Here’s something interesting: Today, the Mad Max: Fury Road movie is being launched. My suspicion is that Mad Max Profits is trying to latch onto this movie’s SEO in order to generate more traffic on its website. That’s why we are seeing this scam coming out at this particular moment in time. In summary, if you are looking to make money via stock trading and investments, don’t count on the Mad Max Profits software to be your ally. 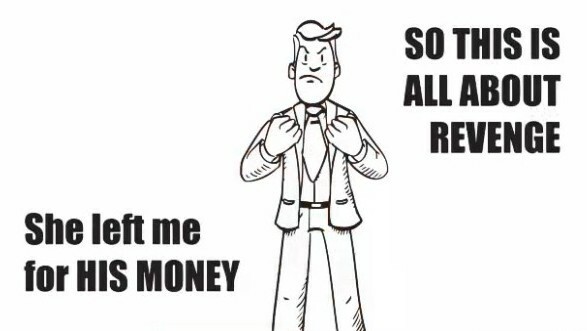 My advice is that you look elsewhere for a legitimate money-generating opportunity.